Last month, The CW debuted their third DC Comics series Legends of Tomorrow, which includes heroes and villains from both Arrow and The Flash, along with a slew of new characters as well. 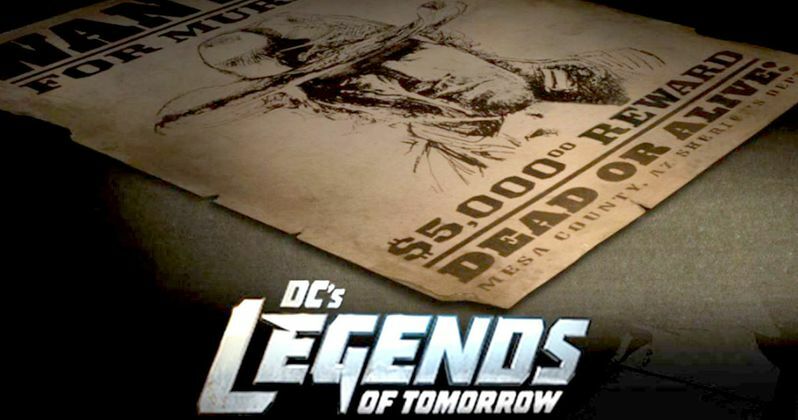 Even before the show debuted, we've known that a few more iconic comic book characters will be popping up on the show, including Johnathon Schaech as Jonah Hex. Over the weekend, the actor took to his Instagram page, where he showed off his Jonah Hex physique and revealed he will be filming for five days. Here's what he had to say to his Instagram followers. "Two hours in special effects make up a day! I'm bringing it to #legendsoftomorrow #jonahhex @cw_legendsoftomorrow @cwtheflash @cw_arrow 5 days of filming -- roaming charges included!" Jonah Hex is described as a true legend of the Old West, a morally ambiguous gunslinger with a penchant for danger. Surprisingly, he knows a thing or two about time travel and the future, but is at home in the Wild West. He's been battling outlaws and gangs for a while now, and advises the team to be extra careful when they arrive in the small town of Salvation. The actor will appear in the 11th episode of this season, with the potential for a recurring role later on in the first season, or in Season 2, if the show is renewed by The CW. In related news, the DC Comics Instagram page has been debuting cryptic photos that tease several more comic book characters who will debut this season. The first image features a wanted poster for Jonah Hex, while the other images reveal Ma Hunkel, the Golden Age version of Red Tornado. Hourman, Sandman and Sgt. Rock will be appearing on the show at some point this season, although these characters have not been cast yet. The images feature some iconic items from these characters, such as Ma Hunke's kettle helmet, Hourman's hourglass, Sandman's gas mask and Sgt. Rock's helmet from Easy Company. Each of these images came with the hashtag #LoTSpoilers, so hopefully we'll find out more about how they fit into the story soon. Ma Hunkel made her comic book debut in 1939, and she first suited up as Red Tornado in 1940. The character was initially used more for comedic relief rather than for her crimefighting skills, as she was often mistaken for a man while wearing her kettle helmet. Hourman was introduced in 1940, a character who gets his super speed and strength from a drug known as Miraclo, and his powers only last for one hour at a time. Sandman made his comic book debut in 1939, who used knock-out gas to disable criminals. Hopefully we'll learn who will get to play these characters very soon.